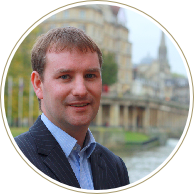 Charity Independent Examinations | ART Accountants based in Bath. At ART Accountants Limited we have many year’s experience in providing accounts services to charities, clubs and associations. We are personally involved as trustees and have been involved professionally. ART Accountants will carry out Independent Examinations of accounts for the trustees or committees to give to their members. An Independent Examination is required by the Charity Commission to give public confidence in the charities work. We will also prepare the accounts and deal with all the submissions that are required by the Charity Commission. At ART Accountants Limited we realise that it is imperative that you keep costs to a minimum to allow more of the funds to be utilised for the benefit of the members and our costs take this into account. At ART Accountants Limited we have done it ourselves, so speak to us for first hand knowledge.